Southwestern University students and alumni are familiar the dormitory named in honor of Martin Ruter, the pioneer Texas Methodist educator. Fewer Texans are aware that a Ruter Hall also exists at Allegheny College in Meadville, Pennsylvania. It was from the presidency of that college that Martin Ruter came to Texas. Ruter’s presidency of Allegheny College began in 1833 when the college became affiliated with the Methodist Episcopal Church. Ruter served ably as president for four years and in June, 1837 resigned so he could head the Texas mission. departments and the welfare of the students. But it has been my uniform intention to labor in a different sphere of usefulness whenever I could retire from the college without any injury to its interests. Believing I can now do this, and finding a door opened for me in other labors probably as useful to the Church as any I could. In July the student body assembled for farewells, and the Ruter family pushed their flatboat away from the landing on French Creek to begin the missionary journey. He never saw Allegheny College again, but his memory is preserved in the name of a building. One believes that Ruter would be very pleased about the Ruter Hall at Allegheny College. The Department of Classical and Modern Languages is housed in Ruter Hall. Martin Ruter was a very accomplished linguist. 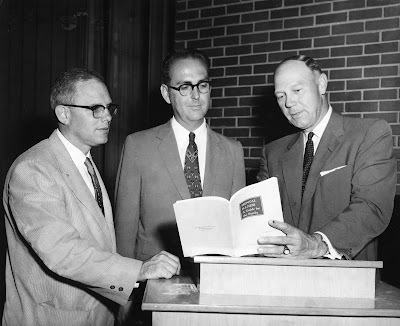 Here is another photo from the files of the Texas Conference Archives. If you can identify anyone in the photo, please click on "Comments" and help us out. As John McLean once wrote, “Perhaps we overdid the school business.” He was right. Methodists opened dozens of schools during the 19th century. Disposing of the inventory of unneeded schools in the 20th century became an unpleasant necessity. The closing of Westmoorland College in San Antonio is one of the happier endings. Instead of shuttering the college, the Presbyterians accepted the facilities and moved Trinity University from Waxahachie to San Antonio. Methodists had projected a school in San Antonio even before the Civil War. Robert Belvin came from Georgia to head it, but it never got off the ground. The West Texas Conference reformed it as San Antonio Female College in 1894. In 1914 it was elevated to junior college. In 1918 the trustees renamed it Westmoorland College. The 1930s brought hard times and declining enrollment so in 1932, the trustees admitted male students. Meanwhile the trustees of Trinity University in Waxahachie were considering relocation. Presbyterians had founded Trinity in Tehuacana but moved it to Waxahachie in 1902. It was that relocation that made it possible for Methodist Protestants to move their college to Tehuacana. Waxahachie provided too small a population base for Trinity’s ambitions. The Southwest Texas Conference made Westmoorland’s campus available, so Trinity moved to San Antonio. Graduates of Westmoorland and San Antonio Female College became alumni and alumnae of Trinity, so the San Antonio Methodist educational heritage continues in Trinity University. In 1950 Trinity University moved from the old Westmoorland campus to a new campus on the north side of San Antonio. A previous post (archived at November 2007, see side bar) told the story of “Ma” Ferguson and her generous pardon policy which Methodists condemned because it put convicted bootleggers back on the street. Readers would be interested in hearing Ma’s side of the story. The following is part of the text of a reply she made to “Methodist Women of the Panhandle” in June, 1925. Again the record will show that of these 353 proclamations, 70 were furloughs. Let me show to these people, who think I am heartless, just how the furlough works: A gray-haired mother, perhaps 70 years old, is suddenly stricken in some distant county of the state; the doctors say it is only a question of a few days when she must pass to the great beyond. She has a wayward son in the penitentiary. Perhaps it is her first born and again it may be her baby; and in the delirium of her dying moments, the impulse of a loving mother goes out to her wayward son and she wants to see him before death shall take her hence. The son in the penitentiary is informed his mother is dying and he, perhaps with a good record and perhaps serving a sentence for his first offense, wants again to look upon his mother’s face for the last time and receive from her lips the last admonition to be a good boy and try to live right. Oh, you critics, no one but the Governor can relieve this situation, and you may rave and howl to your heart’s content and you may criticise me and you may abuse me, but so long as I am Governor I serve notice on you now and forever, that no dying mother shall ever plead in vain for a chance to again see the wayward unfortunate son before death shall claim her into eternity. The Texas Conference Archives has a large collection of photographs. Unfortunately many of those photographs are nearly useless to researchers because they lack identifying information. You can help! One of the greatest figures in Texas Methodist education, James Leonard Farmer, was born June 12, 1886 in South Carolina. His path from poverty to a distinguished academic career is an inspiring one. He attended grade school in Georgia and then went to Daytona Beach, Florida where Mary McCloud Bethune had founded Cookman Institute (today Bethune-Cookman University). His brilliance earned him scholarships at Boston University, but no way to get to Boston. The only way to get there was to walk—so he did. He earned three degrees, including the Ph.D. in 1918. During those same years he was also employed and completed ordination requirements for the MEC. In 1919 he was ordained an elder in the Texas Conference of the MEC. He maintained conference membership until his death. Also in 1919 he joined the faculty of Wiley College, probably the first African American Ph.D. at any Texas college. Although his dissertation was in Old Testament, he taught many subjects including Latin, philosophy, and religion at Wiley. Students would also come to him for help with their calculus and physics homework. His Sunday afternoon sermons in the chapel were so powerful that they attracted white citizens of Marshall to those services. Farmer gained such a reputation that he was in great demand from other institutions. He left Wiley and went to Rust College in Mississippi and then back to Austin, Texas where he joined the faculty of Samuel Huston College (now Huston-Tillotson University). He went back to Wiley and then to Howard University. He later moved back to Samuel Huston. 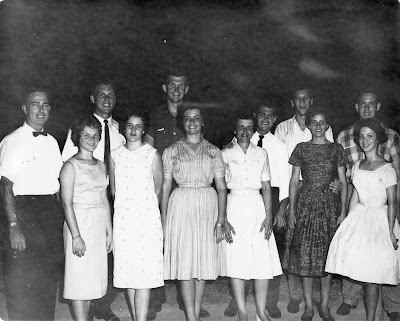 Although Farmer had significant administrative duties in addition to his teaching responsibilities, he also served as principal of the pastor’s school at Gulfside Assembly and edited the Sunday School department of the Southwestern Christian Advocate. He also contributed book reviews and articles to scholarly publications and lectured widely on a vast array of subjects. Although James Leonard Farmer was one of the greatest intellectuals in Methodist colleges of the first half of the twentieth century, he is remembered today mainly as the father of James Leonard Farmer, Jr., founder of the Congress Of Racial Equality, and rightly recognized as one of the giants of the civil rights movement in the United States.